Just because the school year will be over soon , it doesn’t mean that school will be in recess! At King`s Oak British International School, it has become a tradition that, after the academical year ends, the Summer School begins. This year, it will last for three weeks in July. What are some of the Summer School’s objectives? To offer children, either our pupils or those who want to “taste” our unique school, the chance to experience activities that the regular schedule does not allow. We do it by honouring those core principles that made us a leading educational institution in Romania: learning via a hands-on approach, having fun, forging a group spirit and providing lessons that enrich the children’s life and outlook. 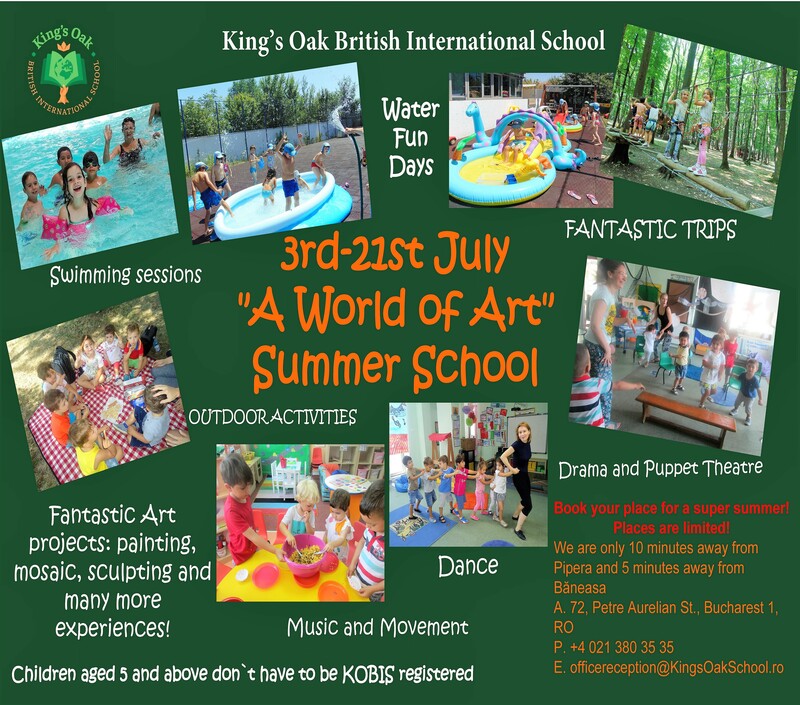 This year, the Theme of the King`s Oak Summer School is one that sets imagination alight, both that of children and of their parents: “A World Of Art”. The latter can be sure that their children will experience adventure, enjoyment, and will learn many new things about various cultures and forms of art, having a lot of fun in the process! Halloween Party at King’s Oak!